UX benchmarking is the process of measuring and tracking the performance of your website or any other digital products over time in relation to a particular standard. For a website it refers to comparing a particular website’s performance against that of its competitor’s website or against itself longitudinally over time, especially in relation to UX metrics, such as effectiveness, satisfaction and quality, etc. Benchmarking, if it’s done properly, helps you assess the effectiveness of your strategy, identify the problems and thus allow to refine your strategies. Benchmarking enables you to evaluate the outcome of any changes that you make including re-design, adding or removing a feature and modifying contents, allowing you to identify what’s working and what isn’t. It is important to be aware of the strength and weaknesses of your website if want to succeed online. Through UX benchmarking, the experience of real users help you determine what improvements need to be made and where the website works. UX Benchmarking or UX competitive Benchmarking is designed to investigate your position against your competition based on real data. Analysis of the outcome help you understand how you are performing in terms of market position and sales, and shows ways how you can thrive on the market. The study quantifies user experience, which ensures business goals and design decisions can be made based on real metrics rather than opinions or hunches that you may have. Since the study encompasses a diverse range of data collection methodologies and platforms, accurate analysis of the results helps you gauge whether you’re heading to the right direction and helps you avoid costly mistakes. Since the study involves taking feedback on the user experience from real users of a website, it serves as the best means to understand the likes and dislikes of your target audience. It helps you get a better understanding of how the users perform a specific task on your site, which enables you to implement the best ways to give your users a smooth experience with your website. 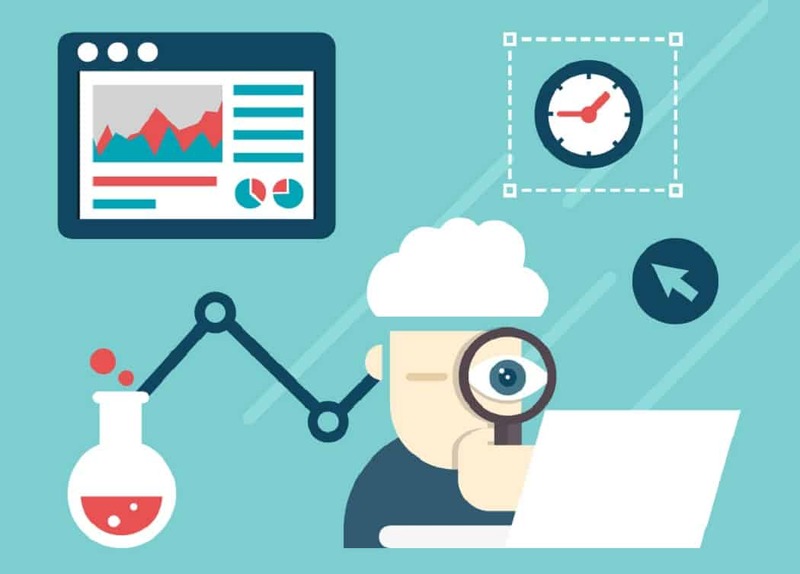 UX Benchmarking can reveal the problems that might have been unnoticed, for example, it may reveal that customers are experiencing bugs, errors, broken links, inappropriate content or any other issues that can create an everlasting poor impression on the visitors’ mind. Your website plays the key role in establishing your brand image. Benchmarking study helps you cater to the visitors’ changing needs with time by translating the users’ experiences and recommendations. This can enhance your brand image, providing you with a better chance of keeping long term customer relationships and ongoing sales. It can keep you motivated by tracking the outcome of any modifications done towards improvement. If the modification brings positive results that can boost you up, or if it doesn’t you will strive to identify the underlying problems by analysing the data. Considering the prevailing internet and ease of connectivity with people, UX benchmarking is one of the most cost effective ways in successfully evaluating your strategy and guiding you towards the online success as compared to the other sources or consultancy services available in the market. It involves studying the strategies of the big players in your industry and allows you to improve on their strategy. By researching on what and how your competitors are doing, for example how they present their products, place an offer or types of offers they make enables you to develop even superior or more innovative ways to cater to your market. It goes without saying that every company wants to expand its market share. A rigorous UX benchmarking study ensures that you do not miss anything about changing customer behaviours. By constantly improving customer experience and ensuring they can easily locate what they are after, you can keep attracting more customers on your website leading to increasing sales. The most crucial part of an effective UX benchmarking is to clearly define measurable metrics that would be studied. For example, for an ecommerce store it might be investigating the findability of products or information, simplicity of checkout process, etc of your website and comparing them against that of the competitors’ websites. Once you’ve decided on the metrics to be investigated, construct the test materials that are specific and easy to perform. You can ask the users to perform a few specific tasks on your as well as your competitors’ sites. For example, for an ecommerce site the tasks might be time or number of clicks required to find a specific product, ease of finding the product return policy, deciding on which site to buy the product from, etc. the outcomes will allow you to make a comparative study on the ease of navigation, level of complexity to find a specific product or information thus the shopping experience of the users, and trustworthiness of your site against your competitors’ sites. This, in turn, will allow you to improve your site towards perfection. Choosing the right audience is a pre-requisite for a successful benchmarking study. The users you pick should include your target audience, for example your existing customers, potential customers or people with similar demographics. Considering the unparalleled benefits, UX benchmarking is one of most effective means to evaluate and refine your strategy. An effective benchmarking study with proper test material, accurate data analysis and thoughtful translation can successfully help you maximise user’s satisfaction, thus paving the path towards online success. About Author: Liakat Hossain is an enthusiast blogger. He researches trends in the web design and marketing industry.